WASHINGTON, DC – The Nurses on Boards Coalition (NOBC), an organization committed to building healthier communities through the service of nurses on all types of boards, has announced today that CVS Health has become a Founding Strategic Partner. With clear alignment of mission, vision and goals, CVS Health has made a commitment to support the work of the Coalition. NOBC formed in response to the Institute of Medicine’s Future of Nursing Report which identified the need for nurses to bring their knowledge and strategic expertise about health and healthcare into greater leadership positions. The Coalition’s intent is to ensure that at least 10,000 nurses are on boards by 2020, as well as raise awareness that all boards would benefit from the unique perspective of nurses to achieve the goals of improved health and efficient and effective health care systems at the local, state and national levels. As a Founding Strategic Partner, CVS Health will make a significant and essential contribution to NOBC’s efforts to improve health in communities across our nation. Nurse leaders that are currently serving on a board, or would like to be considered for a board seat, are encouraged to visit nursesonboardscoalition.org. Minneapolis – (February 20, 2018) As founding strategic partner of the Nurses on Boards Coalition (NOBC), Capella University proudly announces another year of continued support and advocacy for the appointment of nurses to the highest level of governance in health care organizations and policymaking bodies. Nurses have an incredible impact on healthcare and the wellbeing of our nation. As such, Capella and NOBC are heading into 2018 reaffirming their shared dedication and mission. While currently 4,000 nurses have registered as serving on boards, the goal of 10,000 still looms as a strategic objective for both organizations. “Nurses positioned at the highest level of organization governance results in better health for all. Capella is honored to carry on as a strategic partner of the NOBC in assuring that nurses are at the table,” says Patrick Robinson, PhD, RN FAAN, dean of the School of Nursing and Health Sciences at Capella University. NOBC announced Capella University as a founding strategic partner in March, 2017. Capella University (www.capella.edu) is accredited by the Higher Learning Commission. Founded in 1993, the university is dedicated to providing flexible, professionally aligned online degree programs designed to help working adults advance in their careers. As of September 30, 2017, about 37,200 students were enrolled in Capella’s bachelor’s, master’s, doctoral and certificate programs. Known for its commitment to learner success, academic quality and innovations in online education, Capella pioneered competency-based direct assessment programs allowing students to learn at their own pace. For more information, call 1.888.CAPELLA (888.227.3552). SALT LAKE CITY — (February 1, 2018) Western Governors University (WGU), one of the nation’s leading nurse educators, has been recognized by the Nurses on Boards Coalition (NOBC) as a Founding Healthcare Leadership Organization Strategic Partner for its work in improving the health of communities through the service of nurses on boards. This partnership enables WGU’s 21,000 current nursing students and 34,000 nursing alumni to freely access training and board preparation resources through the NOBC at www.nursesonboardscoalition.org/resources/. The mission of NOBC is to improve health in communities across the nation through the service of nurses on boards. The Robert Wood Johnson Foundation and AARP joined forces to form NOBC in 2014. With 26 coalition members and growing, the goal is to help ensure that at least 10,000 nurses are on boards by 2020; as well as raise awareness that all boards would benefit from the unique perspective of nurses to achieve the goals of improved health, and efficient and effective health care systems. Established in 1997 by 19 U.S. governors with a mission to expand access to high-quality, affordable higher education, online, nonprofit WGU now serves 91,000 students nationwide and has 100,000 graduates in all 50 states. Driving innovation as the nation’s leading competency-based university, WGU has been recognized by the White House, state leaders, employers, and students as a model that works in postsecondary education. In just 21 years, the university has become a leading influence in changing the lives of individuals and families, and preparing the workforce needed in today’s rapidly evolving economy. WGU is accredited by the Northwest Commission on Colleges and Universities, has been named one of Fast Company’s Most Innovative Companies, and was featured on NPR, NBC Nightly News, CNN, and in The New York Times. Learn more at www.wgu.edu. The Nurses on Boards Coalition (NOBC) represents national nursing and other organizations working to build healthier communities in America by increasing nurses’ presence on corporate, health-related, and other boards, panels, and commissions. The coalition’s goal is to help ensure that at least 10,000 nurses are on boards by 2020, as well as raise awareness that all boards would benefit from the unique perspective of nurses to achieve the goals of improved health, and efficient and effective health care systems at the local, state, and national levels. Learn more at www.nursesonboardscoalition.org. American Sentinel University, an accredited healthcare-focused online university, announced today that it has partnered with the Nurses on Board Coalition (NOBC) in its goal of ensuring that at least 10,000 nurses are on boards by 2020. NOBC is an organization committed to building healthier communities through the service of nurses on all types of boards. In addition to ensuring at least 10,000 nurses sit on boards by 2020, NOBC is also dedicated to raising awareness that all boards will uniquely benefit from nurses’ experiences, compassion, and insights. These particular perspectives will help to achieve better community and national health outcomes. NOBC was created in response to the landmark National Academy of Medicine (formerly the Institute of Medicine) report on the need for nurses to play a greater role in America’s ever-changing healthcare landscape. “We are honored to partner with our colleagues at the Nurses on Boards Coalition in our shared vision for a stronger nursing presence at key decision-making levels. Nurses offer a real-world perspective of both their patient populations and their healthcare systems,” said Dr. Elaine Foster, Dean of Nursing and Healthcare Programs for American Sentinel University. American Sentinel University is a Level I Founding Healthcare Leadership Organization Strategic Partner and already enjoys a professional relationship with many of the NOBC national member organizations, including AORN, ANA, AONE, STTI, and OADN. American Sentinel University delivers accredited online degree programs in nursing (BSN, MSN, and DNP) and healthcare management (MBA Healthcare, M.S. Information Systems Management, and M.S. Business Intelligence and Analytics). Its affordable, flexible bachelor’s and master’s nursing degree programs are accredited by the Commission for the Collegiate Nursing Education (CCNE), of One Dupont Circle, NW Suite 530, Washington, D.C., 20036. The DNP program is accredited by the Accreditation Commission for Education in Nursing (ACEN) of 3343 Peachtree Road NE, Suite 850, Atlanta, Ga., 30326. The University is accredited by the Distance Education Accrediting Commission, DEAC, 1101 17th Street NW, Suite 808, Washington, D.C. 20036, (202) 234-5100, www.deac.org. For required student consumer information, please visit www.americansentinel.edu/doe. SILVER SPRING, MD – The Nurses on Boards Coalition (NOBC), an organization committed to building healthier communities through the service of nurses on all types of boards, has announced today that Capella University has become a founding strategic partner. NOBC’s intent is to ensure that at least 10,000 nurses are on boards by 2020, as well as to raise awareness that all boards would benefit from nurses’ unique perspectives to achieve improved health and efficient and effective health care systems at the local, state and national levels. NOBC was created in response to the landmark 2010 Institute of Medicine report on the need for nurses to take a greater role in America’s increasingly complex health care system. “NOBC is pleased to partner with Capella University to provide greater reach to nurse leaders as they consider and prepare for board service. Their innovative approaches to education will provide new ways for nurse leaders to prepare and contribute as valuable board members on all types of boards,” said Kimberly J. Harper, MS, RN, CEO, Indiana Center for Nursing; nursing lead, Indiana Action Coalition-National Future of Nursing Campaign for Action; and NOBC national co-chair. Silver Spring, MD – The Nurses on Boards Coalition (NOBC) has announced the selection of Laurie Benson, BSN, RN as its new executive director, effective immediately. NOBC represents national nursing and other organizations working to build healthier communities in America by increasing nurses’ presence on corporate, health-related, and other boards, panels and commissions. The coalition’s goal is to help ensure that at least 10,000 nurses are on boards by 2020. “As a highly experienced executive and board member herself, Laurie will bring the expertise and know how needed at the right time for our coalition,” said Kate Judge, the executive director and executive vice president of the American Nurses Foundation. In the role of executive director, Benson will drive the coalition’s national expansion to build partnerships, engage with coalition members and serve as a national public spokesperson. “I am honored and excited to play a leadership role in advancing more nurses to the boardroom where their unique insights, experiences and perspectives will have a significant impact in improving the health of communities and our nation,” said Benson. Benson has more than 35 years of experience serving as a corporate executive, founder, CEO, C-suite advisor, and multi-sector board member. Since 2009, she has served as CEO of LBS Unlimited. In this role, she served as an advisor to executives on issues such as board governance, innovation, strategy and high performance teams. 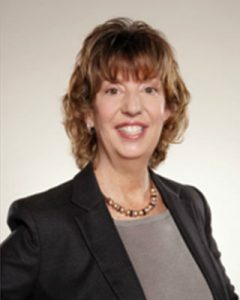 She currently serves as a member of several corporate and non-profit boards in industries ranging from health care, finance, and insurance to manufacturing and technology. Benson earned a bachelor’s degree from The University of Wisconsin-Madison. In 2013, she was named one of UW Madison’s Distinguished Alumni and received the Chancellor’s Entrepreneurial Achievement Award.